The National Development and Reform Commission (NDRC)unveiled amendments to its guidance for adjustments to the nation's industrial structure, including categories that are encouraged, restricted and eliminated. 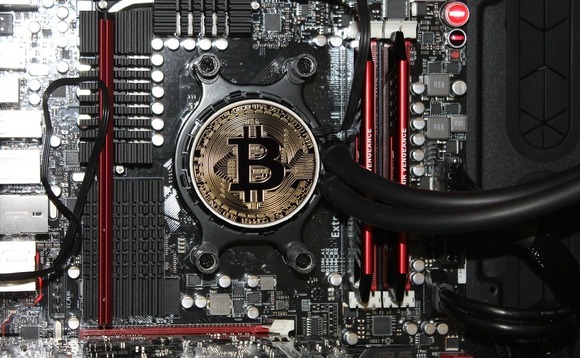 Cryptocurrency mining was included among sectors to be eliminated immediately. The new list is under public consultation until May 7. China has been home to the biggest crypto mining companies in the world, with about 70% of the mining activity happening in the country. The draft did not specify a time frame or plan for eliminating mining activities in the country. The government body recommended that cryptocurrency mining should be eliminated in the country as it is a waste of resources. Cryptocurrency mining is the process of validating transactions in digital forms of money like bitcoin and ethereum in exchange for new coins given as a reward. The specialised computers used for the mining activity consume large amounts of electricity. This mining has been known to be energy intensive, with some countries and regions around the world adopting several measures to curb the activity. China is home to some of the world's largest cryptocurrency mining farms - data centres hosting the mining rigs - thanks to cheap electricity in the country's coal-rich Xinjiang and Inner Mongolia regions. The rules enacted in 2005 in China makes it illegal for Chinese citizens to invest in the eliminated industries. During the elimination period, authorities have the right to raise electricity prices to force those businesses to shut down their operations. In addition to this, the manufacturing, sale, and use of products related to the eliminated industries is also prohibited. This is not the first time authorities have cracked down on cryptocurrency mining. Authorities started clamping down on crypto activities in the country from late 2017 when it announced an outright ban on exchange services, which drove a slew of crypto wallets and trading platforms abroad. In early 2018, regulators decided to lower the incentives for crypto mining without banning the practice entirely. The industry has begun shifting overseas as the crackdown is set to intensify. Market leader Bitmain Technologies - which in March allowed its application for a Hong Kong initial public offering to lapse - has established mining operations in the US and Canada. BTC.Top, the third-biggest mining pool, said last year it was opening a facility in Canada.